On the four-hour chart Tenkan-sen line has crossed Kijun-sen from above, forming a Dead Cross reversal pattern. Under the pressure of the Cross the price has entered the cloud. Chinkou Span line is following the price chart; current cloud is going to turn from ascending to descending. 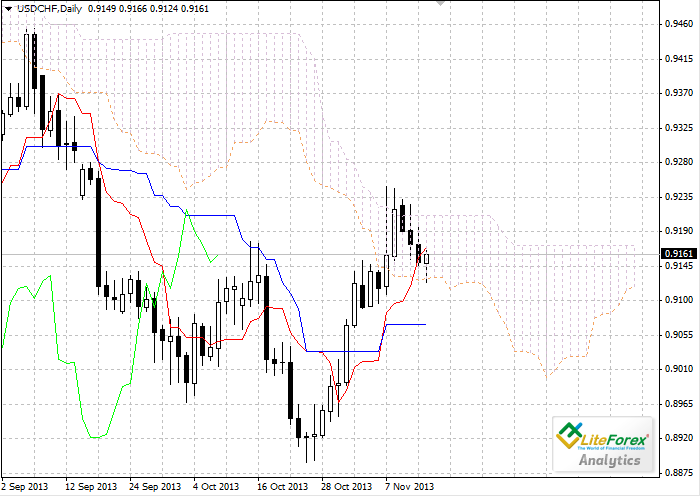 Cloud borders have become the closest support (0.9094) and resistance (0.9171) levels. Let’s look at the daily chart. Tenkan-sen line is above Kijun-sen, the red line is directed upwards, while the blue one remains horizontal. Chinkou Span line is above the price chart; current cloud is descending. The pair weren’t able to consolidate above the cloud and returned within its borders. Senkou Span A line (0. 9129) is the closest support level. 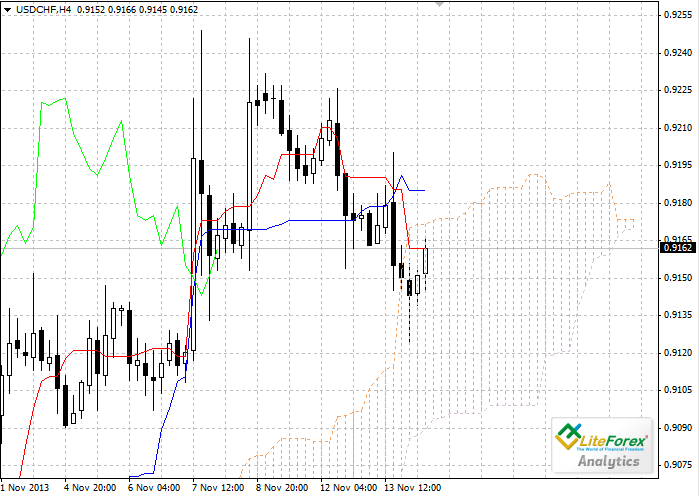 Flat Kumo top is a strong resistance level at 0.9212.